This flexible course brings together all the tools and technology you expect to get the results you need. 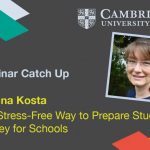 Whether teaching general English or focusing on exams, Prepare! 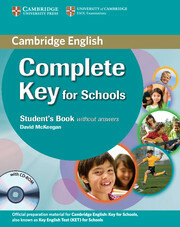 leaves you and your students genuinely ready for what comes next: real Cambridge English exams, or real life. The Level 1 Student's Book engages students and builds vocabulary range with motivating, age-appropriate topics. Its unique approach is driven by cutting-edge research from English Profile and the Cambridge Learner Corpus. 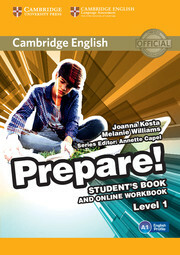 'Prepare to...' sections develop writing and speaking skills. The access code for the extra language practice in the Online Workbook is inside the book.